MetroSHAKE®, shake metal roofing outperforms natural cedar shakes, composite shakes and light weight painted metal shakes in every aspect, and our batten-less steel shake alternative eliminates costly wood battens and allows faster installation times. 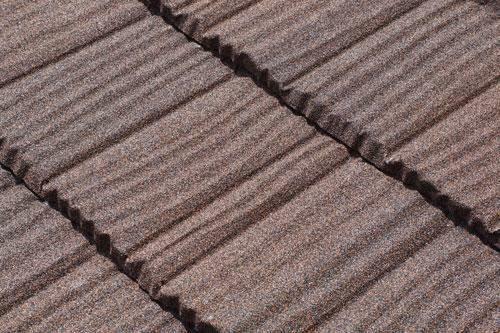 Each Metro steel shake roofing panel is forged with deep wood grain impressions creating an exceptionally strong, secure steel roof covering for any architectural style. All Metro products provide heavy-duty warranty performance, from 120 m.p.h. winds to hail impact and fire resistance. MetroSHAKE® is finished with an attractive stone coating and embedded in a UV resistant acrylic polymer for a lasting bond to Zincalume® steel. Produced with only top quality raw materials, metro metal shake roofing is designed to be secure, maintenance free, attractive, and the most reliable.